DOT approved! 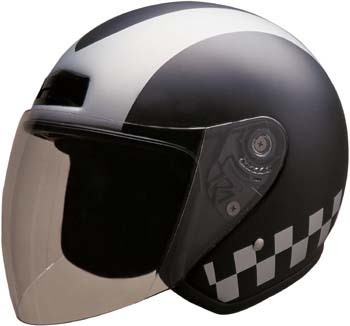 This righteous open face helmet is perfect for thrashing around the city or blasting down the open road. It has extra thick padding in its foam and cloth interior lining, and the fiberglass shell has a nice matt finish for those who dont care for extra gloss on their heads. RIDE ON!